Tottenham's ​Fernando Llorente, who made an immediate impact when his flick found Harry Kane for the equaliser against PSV Eindhoven, has revealed what Mauricio Pochettino told him before he came on. The striker came on with 15 minutes remaining to replace Heung-Min Son in Tottenham's dramatic 2-1 win over PSV Eindhoven and has spoken about what his boss Pochettino said to him before the Spaniard's excellent performance. “My instructions against PSV were to be in the box with Harry and help him, to be there, contribute and help us to score,” the 33-year-old explained. "I think we did very well in the final minutes of the game and I was happy that I could help the team," he added, as reported by the club's official ​website. The Spanish international joined Tottenham in 2017 from ​Swansea City for a fee of around £12m, but has struggled to establish himself in the north London side. With ​Kane and Heung-Min Son above him in the pecking order, he has found his chances limited to just two substitute appearances in the Premier League this season. 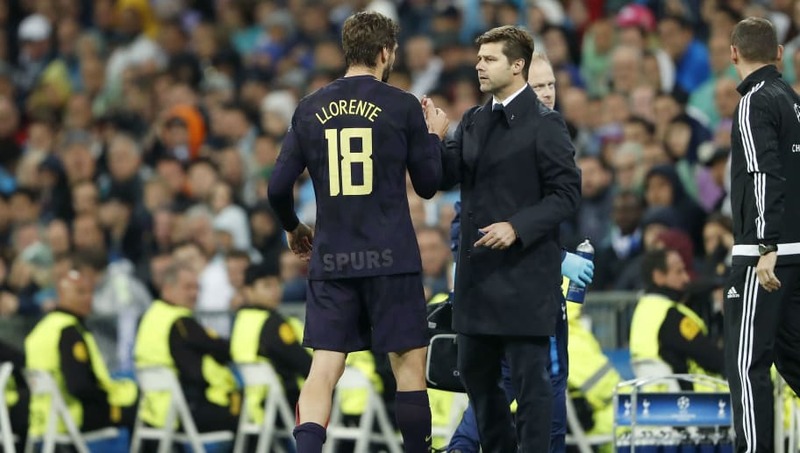 However, with such an instant impact in his cameo role at Wembley which saw the striker fire a header straight at keeper Jeroen Zoet, Llorente will be hoping to work his way into Pochettino's plans for the coming games.